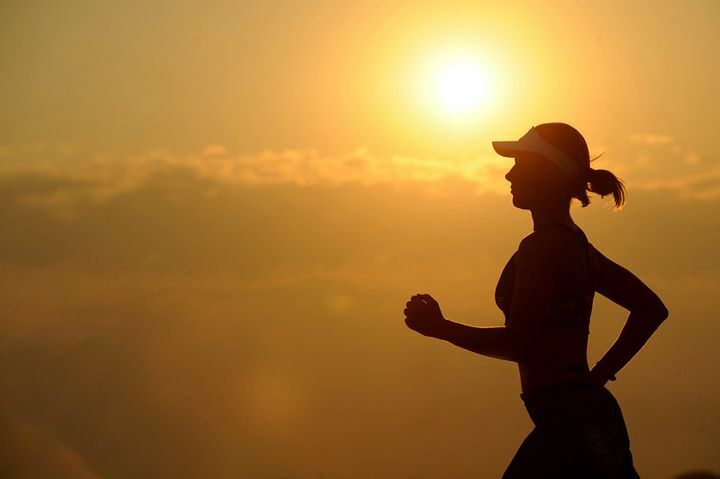 Over the past few years, living a healthy lifestyle has become trendy. Nowadays, being healthy means being beautiful, successful, and fit. People are becoming increasingly aware of diseases caused by obesity and sedentary office work. These and other health-related problems encourage millions of people around the world to do sports. Another modern trend is of course the use of mobile apps – there are thousands of them for any possible aspect of your life you can only imagine. Technology makes many things better and easier. Sports are no exception. Apps and smartphones have become a huge part of today’s sports culture, and wearables are making a great impact as well, gaining more and more popularity each year. According to Statista’s forecast, fitness applications that analyze fitness achievements like weight lifted or miles run are only going to become more popular. In this article, we’ll tell you how to make a fitness app. Our experience in building such apps allows us to understand all the trends in this sphere, and we would like to share our expertise with you. Before we delve into all the great things about fitness apps, let’s look at the history of this industry. When Google created its Google Health service in 2008, it seemed very promising. If it were launched today, it would probably gain popularity, but back in the day it was so unpopular that the company was forced to abandon the project in 2011. Why did Google Health fail despite all the possibilities it presented? 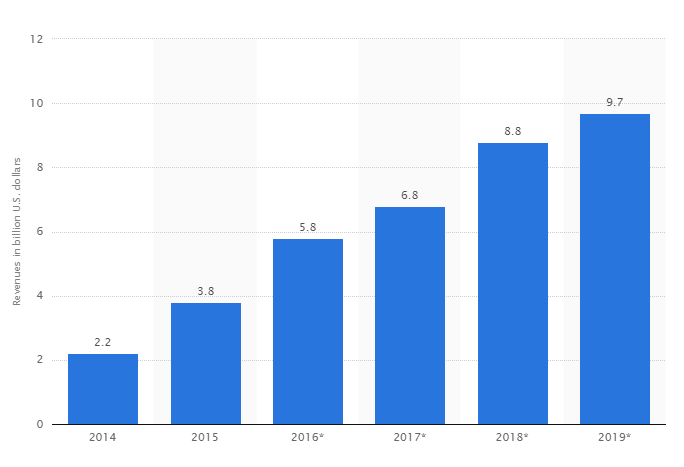 The chart above shows revenues from wearables in billions of US Dollars, and as the forecast for 2019 suggests, wearables business will continue to rise. 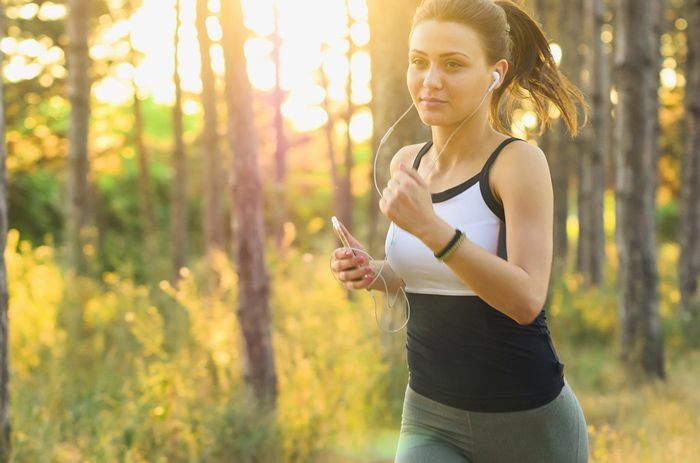 According to Statista’s forecast, fitness applications that analyze fitness achievements like weight lifted or miles run are only going to become more popular. The fitness market overall will show significant growth by 2021, so now is the right time for startups to get into the industry. If you’re already thinking about creating a fitness application, let’s look at what kinds of them you might build. Some applications are a combination of two or even all three of these types, but mostly they fall into one of these categories. Let’s look at each type in detail. 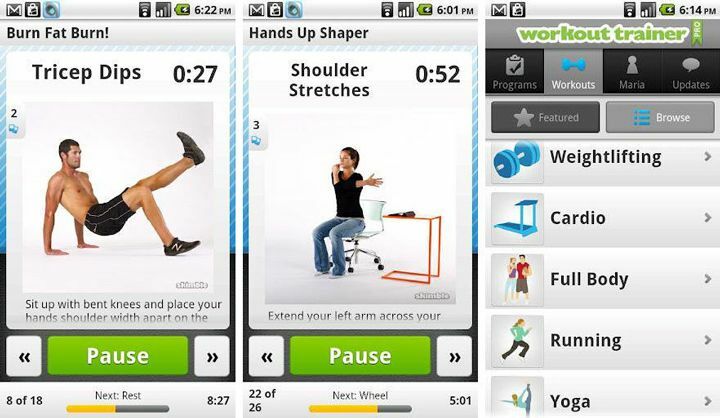 Workout apps is the broadest category in our list. As the name implies, they are focused on workouts. Its main purpose is to show users what exercises to do and explain exactly how to do them. Let’s begin by looking at the first category. 6 Week Training, FitnessBuilder Plus, and iWOD Fitness are a few of most popular apps of this kind. The main idea here is to offer an exercise complex that can be tailored for each user. Users just need to choose a level of complexity and a set of exercises they prefer. It’s also very important to show exactly how exercises should be done. Otherwise, exercises can cause trauma or simply not have the desired effect. 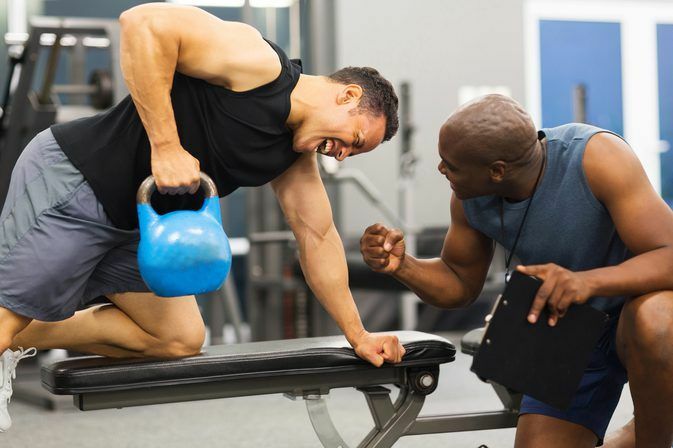 Usually, a personal trainer at the gym makes sure people do exercises properly, but with these applications users don’t need to pay for the gym anymore – 3D models, videos, or just detailed descriptions explain how to perform each workout. These kinds of apps are the most minimalist. 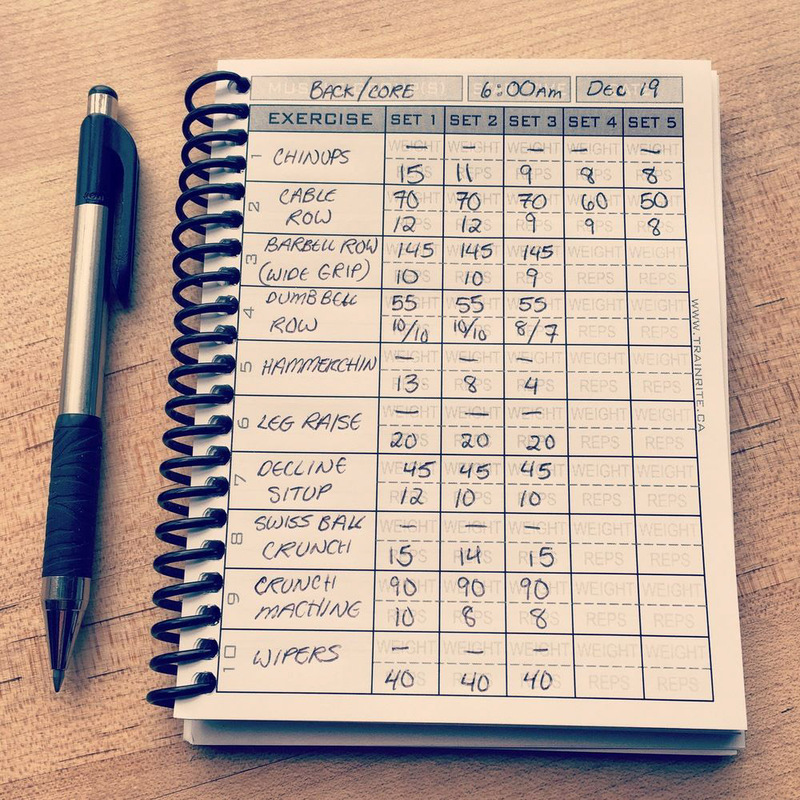 Logbook apps work as a to-do list and basically just store information about workouts. HeavySet, Strong, Fitbod, and Stacked are famous examples of logbook apps. Preset libraries with exercises and a wide choice of workout routines are available for the users. Workout apps are the best option for those sports fans who can’t imagine a workout without a fitness band or some other kind of wearable device. 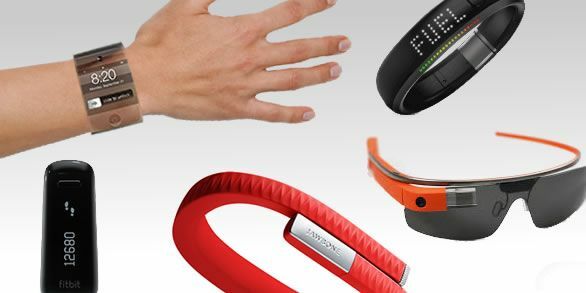 All the data that wearable devices collect immediately shows up on the display of the smartphone. Moreover, such apps sync with smart sports equipment and have an admin panel. 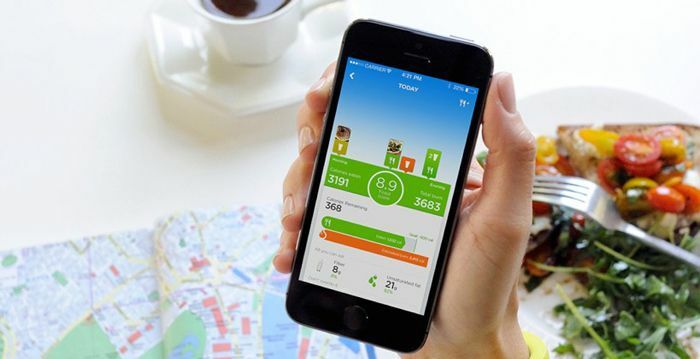 These applications help users control their weight by counting calories consumed and burned, controlling water balance, and encouraging healthy eating habits. They can also help to track how much coffee they drink and keep body fat body fat weight and percentage in control. 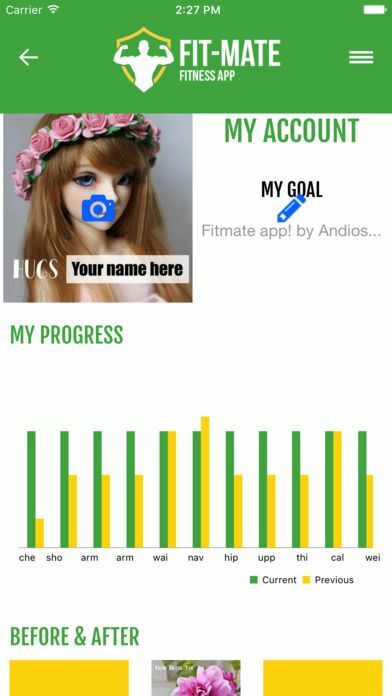 Setting personal goals is the the main focus of such apps. If a person has hard time sticking to healthy nutrition, the app will help to create grocery shopping lists, and even collect healthy food recipes! Among the best applications of this kind are HealthyOut, Calorie Counter & Food Diary, and MyPlate Calories Tracker. Activity tracking apps are suitable even for people who don’t go to gym or not fond of sports, but still want to make sure they move enough. Such applications can count the number of steps and count calories. With geolocation, they can track distance walked. One of the most interesting features here is sleep quality estimation and smart alarm clocks that wake users up during the REM sleep phase, making users wake up quickly and easily. 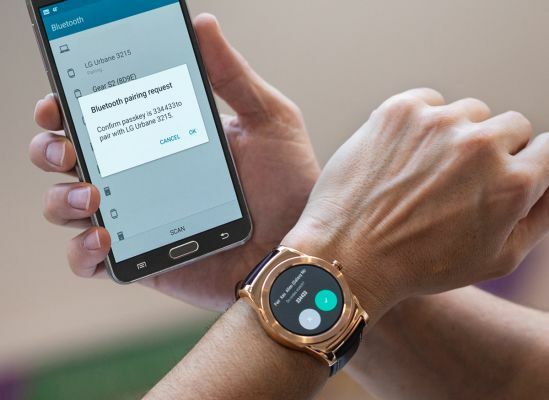 Many activity tracking applications can be paired with wearables, though if a user doesn’t have one the smartphone’s capabilities are enough to gather data just as well. Now it’s time to find out what basic features are necessary for any fitness app. After we discuss basic features, we’ll discuss features that are specific to each kind of fitness application. Before we start, let’s look at some more statistics. What are people actually looking for when they install a fitness app? Why do people use fitness applications in the first place? 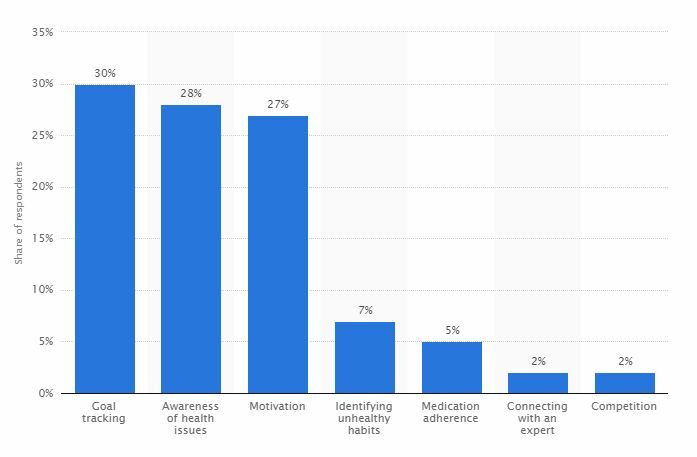 As you can see, tracking goals, monitoring health issues, and staying motivated are the three main reasons people use fitness apps. Some of the features we’ll mention here are key to success because they help users get what they expect from a high-quality app. Mobindustry has experience developing fitness apps. 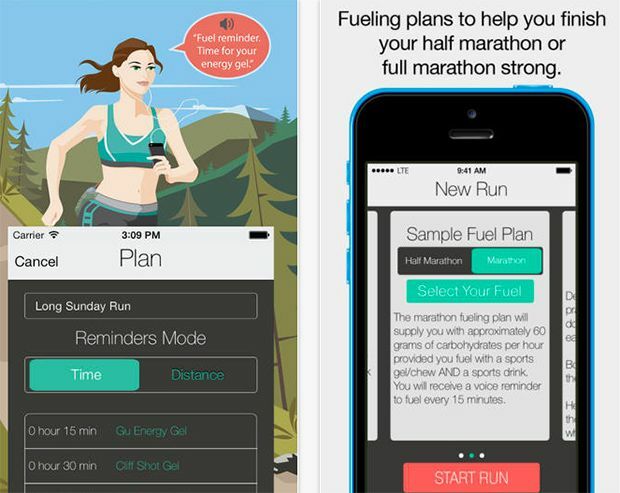 Fuel My Run is one of our projects, and we’ll present many of the following features using it as an example along with other popular applications. 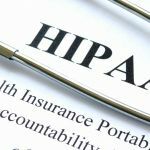 Accounts are crucial because they allow users to store information and retain their data if they change devices. Moreover, no competition is possible without accounts – we’ll talk about competition later. The best and most convenient way to register an account in an app is through social networks. With social logins, users can immediately see all their friends who use the same app and can start publishing their results on social media. Firstly, this increases motivation because people can see their friends’ progress. Secondly, it brings more users to an app when they see their friends’ achievements. Your application also has to be pleasant to use, so add profile photos to make it even more personalized. 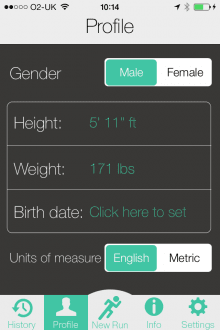 And don’t forget to offer measurements in either imperial units (pounds, feet) or metric units (kilos, meters). They should be optional, because your users might be used to different systems, so they won’t understand feet, if they are used to meters. Notifications are crucial when it comes to motivation! The most common problem with sports is losing the enthusiasm you had at the beginning. Bad weather, laziness, lots of things to do – the reasons to skip physical activity or stray from a diet are countless. 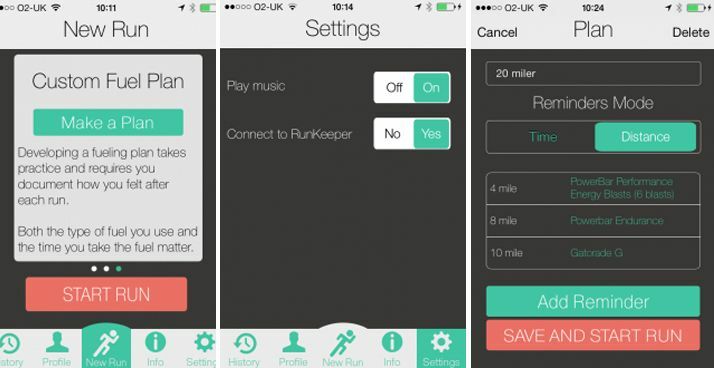 In addition, users can just forget about their plans for exercising, so the app’s task is to remind them. However, notifications must be adjustable so they don’t become annoying – let your users set notifications as they please. 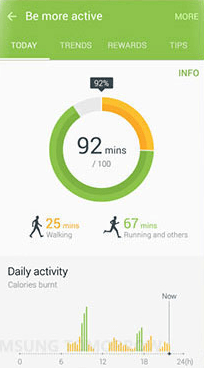 All fitness applications have to let users set targets. Crossfit apps need to have targets for workouts, while activity tracking apps need to have targets for number of steps or hours of sleep. 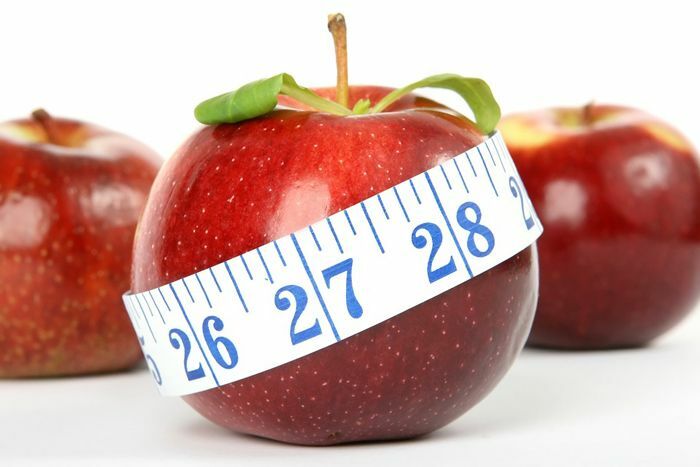 When it comes to diet apps, targets might be calorie limits or pounds lost. In any case, a target is what a person needs to stay motivated. Users have to see clearly what they’re striving for. Settings are needed to make your app customizable and easy to use. Remember that the settings menu has to be consistent and simple, yet comprehensive. Gamification is used both to entertain and to motivate. Achievements like those found in video games are good, but competing with other users is even better. Let your users compete, get rewards, and compare results with their friends. 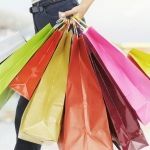 In some applications like Charity Miles, users can even become part of a charity program by sharing results on social media. This feature is specific to workout apps. The main problem with most workout applications is that the routines can’t be customized. We recommend making routines customizable, as it’s more convenient for users. This feature is optional, but it’s definitely interesting. Live streaming allows users to broadcast their workouts and consult with professional trainers online during the training process. Your app has to be able to connect to as many trackers as possible if you plan to support wearables. You can use Apple’s HealthKit or Google Fit for storage and use different wearable manufacturers’ APIs (Up by Jawbone, Garmin, Withings, Tomtom, and others) to connect devices to your app. 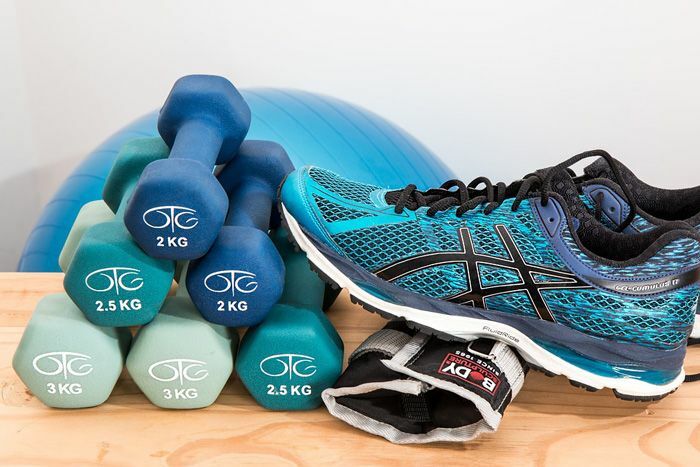 Here’s where HealthKit and Google Fit will come in handy, as they can connect your app to all sensors (accelerometers, compasses, gyroscopes) to track walking, cycling, running, and even swimming activities. As activity tracking applications are all about maps, you should definitely implement geolocation into your app. 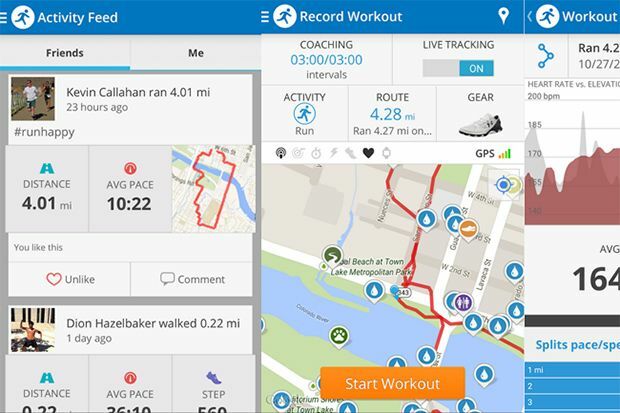 You can use maps by Google, Apple, Tomtom or Waze – there are many options that will let users plan routes, track their current location, and record workouts. Map screenshots can even be shared on social media! No diet app can exist without food logging, so you should definitely implement this feature. Diet apps have to make it easy to log information, so a product database with a dictionary is also a must. Barcode scanning is a very useful feature to make logging faster and easier. 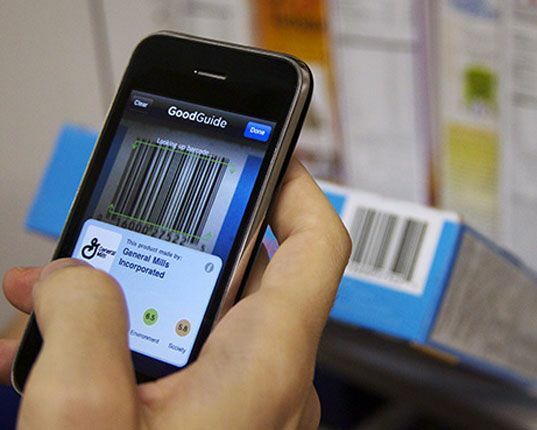 With barcode scanning, your users can get all the necessary information like calories or ingredients by just putting a barcode in front of their smartphone. It’s hard to tell the exact sum you’ll spend on fitness app development, but a rough estimate is possible. The cost of your app will depend on the set of features you want, the time it takes to develop the app, and of course the rates of the development team you hire. 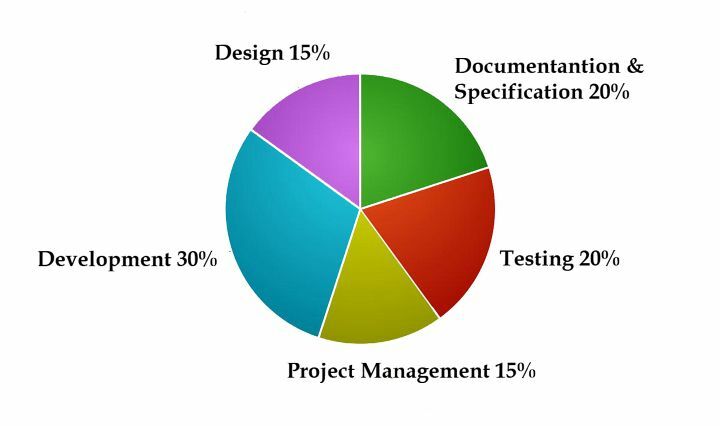 Here is a pie-chart where you can see how many percent of estimated development cost will be spent on all parts of the development process. You should note, that this is only an approximate evaluation. Sometimes the design can take up to 50% of the development cost or even more — it depends on your wishes. If you want to stand out from the crowd with the help of stunning and complex design with animation, these figures can be completely different. Design is the hardest part of development process to estimate. Also, estimates are influenced by the number of team members and the development approach. Communication can take up lots of time as well, especially if the requirements are not very clear. Here are all the features for fitness apps and approximate hours of their development. In addition to these hours you should also note that the preparatory work takes approximately 18 — 34 hours. The app production takes from 4 to 12 hours. This way you can estimate your budget for developing your fitness app, based on your wishes and hour rates of the developer team you choose. There are actually many ways to monetize your fitness app. The first idea that comes to mind is to make your app free for the public but offer some additional paid functionality. This is a very popular way to make money from apps nowadays – all users get a free set of basic functions, but if they want some advanced features to make the most of the app they need to pay for a membership. Another way to make money is to place advertising in your application, but be careful with that. Ads may irritate users, who may choose another application without ads. Advertising is not the best way to monetize a fitness app because ads are distracting and mostly annoying. Workout apps have the possibility to charge users for personal workouts with professional trainers, as Fitocracy does. In this article, we described what features are key to success of different kinds of fitness apps. Building a fitness application isn’t as easy as it may seem at first, but launching a fitness app will pay off. We at Mobindustry have experience building fitness apps and can provide you with the best development team, QA engineers, and project managers to make your fitness application unique on the market. Don’t hesitate to contact Mobindustry for more information. We provide excellent quality at a reasonable price.